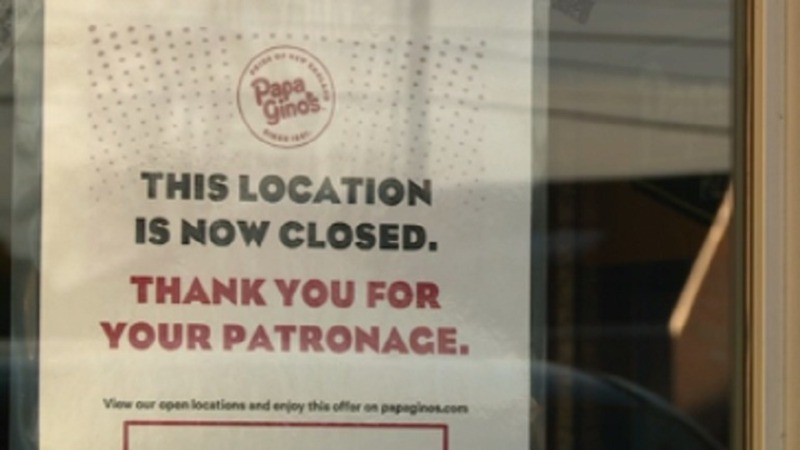 Eyewitness News called and visited several Papa Gino's and D'Angelo Grilled Sandwiches locations across Southeastern New England after receiving reports from employees and customers who found them closed on Sunday morning. The Papa Gino's website shows 97 open locations as of Sunday, down from 144 listed last week. When you pull up to the Papa Gino's on Reservoir Avenue in Cranston, there is now a sign taped up reading, "This location is now closed. There's no word on how many employees were impacted by Sunday's closures, nor if the company is working to place them at other shops. The company reported in January that it had nearly 280 company-owned and franchised restaurants, employing more than 4,000 workers. Eyewitness News will continue to bring you updates both on WPRI 12 and on WPRI.com about this developing story.